Today Lucy shares a first timer’s guide to Edinburgh with 11 unmissable things to do in Edinburgh during your first trip to Scotland’s capital! 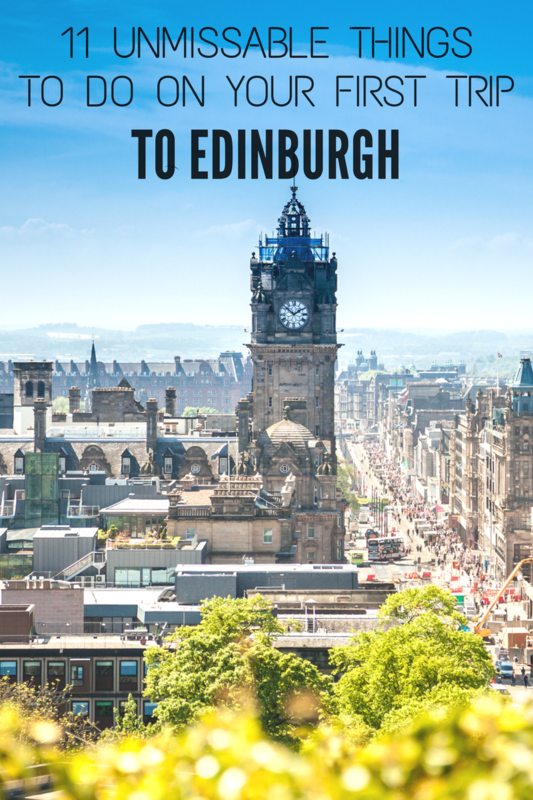 Fascinating history, bags of culture, gorgeous views, delicious food and drink – Edinburgh is one of those cities with a bit of everything and my first-timer’s guide to Edinburgh has everything you should see and do during your first visit. The Scottish capital is just bursting with charm and it’s manageable size makes it the perfect weekend city break destination. So here’s our pick of 11 essential experiences that every visitor should try on their first trip to Edinburgh. The first thing on our guide to Edinburgh has to be a visit to Edinburgh Castle! Where else but Edinburgh can you visit a castle perched on top of an extinct volcano? Edinburgh Castle dates back to the 7th century and has been scaring off potential invaders ever since. Today’s invaders are more likely to be tourists, following in the footsteps of historic Scottish icons like Robert the Bruce and Mary Queen of Scots. Travel Hack Tip: Get to Edinburgh Castle early to beat the crowds and soak up the atmosphere of its ancient buildings and the views out over Edinburgh and beyond. The Royal Mile is Edinburgh’s oldest and most famous street, running from the castle at one end to the Palace of Holyroodhouse at the other (though did you know it’s 5900 feet as an old Scottish mile is longer than a modern one?). The Mile is busy and bustling and there’s always something going on – from street theatre to fire-throwing bagpipers. There’s churches, historic buildings, cafés and bars to explore, as well as all the tartan and shortbread shops you could ever need! Travel Hack Tip: Climb to the top of St Giles Cathedral for a fantastic view along the Royal Mile – guided rooftop tours cost £6 per person. Even if you’re not normally a whisky drinker, you can’t visit its home country without trying a drop from one of the Scotland’s 100 distilleries. 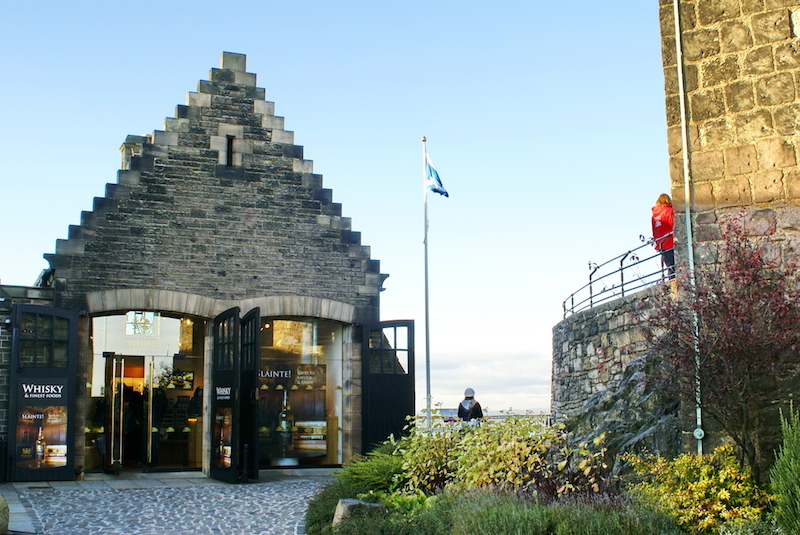 Find out how it’s made at the Scotch Whisky Experience near the castle, where a guided tour comes with a whisky taster (under 18s get Irn Bru instead – Scotland’s other favourite drink). Or if you want to get a bit more serious, drop into the Whiski Rooms for one of their Introduction to Whisky tasting sessions (£25 per person). Travel Hack Tip: If you’re not a whisky fan, Edinburgh has a couple of great gin distilleries too – Pickerings and Edinburgh Gin both do tours and tastings. Edinburgh has to be one of the only places in the world with a street of houses buried underground. Mary King’s Close is one of the city’s 17th-century closes – tall, narrow streets which filled the old town. Most were knocked down but this one was preserved like a time capsule when the Royal Exchange was built over the top. So you can head underground and back in time, where a guide will tell you the stories of the people who lived there, from plague victims to ghostly hauntings. Another spooky spot, by day Greyfriars Kirkyard is a peaceful oasis in the centre of Edinburgh filled with beautifully carved tombs, but by night it’s a favourite with ghost-hunters. It’s where famous grave-robbers Burke and Hare did their body-snatching. But its most famous resident is a dog, Greyfriars Bobby. The dog was so devoted to his master that when he died in 1858 the dog sat by his grave every day for 14 years. He was buried in the churchyard and people bring him sticks to lay on his grave. Travel Hack Tip: If you want to find out more about Burke and Hare (and aren’t too squeamish about body parts in jars), check out the Surgeon’s Hall Museum. Afternoon tea is a British institution, and Edinburgh’s Balmoral Hotel put their own Scottish spin on it. It’s served under the chandelier in the glam five-star surroundings of the Balmoral’s Palm Court. You can choose from a range of Scottish teas, including their own Balmoral blend, served with sandwiches, pastries and scones with jam and cream. Afternoon tea costs £35 (and it’s extra for Champagne), but you’re guaranteed to come away feeling a million dollars (and very full). Edinburgh is surrounded by three volcanic hills, but the biggest is Arthur’s Seat. It’s a bit of a climb to the top, but you can see for 60 miles on a clear day (plus it’s a good way to burn off some of Edinburgh’s fantastic food). There are a few different paths leaving from Holyrood Park, depending on how much scrambling you want to do. The walk takes a couple of hours and along the way you’ll get plenty of panoramic views – though it’s a good idea to pack a waterproof. Travel Hack Tip: If you’re pressed for time or that sounds too much like hard work, you can drive up to Dunsapie Loch and walk up to the summit in about 10 minutes. For Harry Potter fans, Edinburgh’s a bit of a pilgrimage site – it’s where author JK Rowling lived and is full of places that inspired her. There’s Victoria Street which became Diagon Alley and the Hogwarts-style George Heriot’s School. Some of the names on the graves in Greyfriars Kirkyard might look familiar too. You can also stop off for a drink in The Elephant House Café and Spoon Café where she wrote parts of the books (look out for the queues of Potter fans). If you’re looking for a peaceful escape from the city, you only need to go about a mile from the Royal Mile to find the Water of Leith Walkway. This 12-mile route runs along the waterside with statues, bridges and lots of greenery along the way. The full route covers 12 miles, from the Pentland Hills to Leith docks, but the stretch from the Gallery of Modern Art to the Botanic Gardens is one of the prettiest, passing through Stockbridge and Dean Village. Travel Hack Tip: Stop off in Stockbridge for a hot chocolate at Coco, a boutique chocolate shop that makes some of the best hot choc I’ve ever tasted. Edinburgh loves any excuse for a party, and you can usually find some sort of special event on whenever you visit. The big month is August, when the city’s taken over by the Fringe Festival as well as the Military Tattoo and the literature and arts festivals. Then through the year there’s Hogmanay, Burns Night, the Beltane Fire Festival, light shows, music, storytelling and food festivals, Christmas markets and more. Travel Hack Tip: Check out the This is Edinburgh website for details of all the latest events. It’s easy to forget that Edinburgh isn’t far from the sea, but catch a bus from Princes Street and within half an hour you can be on the beach at Portobello. This Victorian seaside resort has been a sunny-day escape for Edinburgh residents for over a hundred years. Grab an ice cream and join them on the sand in summer (and maybe even risk a paddle if you’re feeling brave), or watch the waves crashing and blow the cobwebs away on a blustery winter’s day. Lucy is a travel blogger On the Luce, exploring the UK, Europe and beyond from her home base in the Cotswolds. 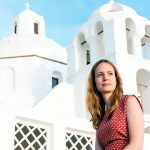 Her blog combines inspirational stories and beautiful photos with all the useful details you need to make the trip a reality – from weekend break ideas to rail adventures, reviews of quirky accommodation to unusual angles on your favourite destinations. Lucy’s never far from her camera, loves a good glass of prosecco, devours a book a week and is always on the hunt for luxury on budget. Do you have anything you’d like to add to the list for a first-timer’s guide to Edinburgh?